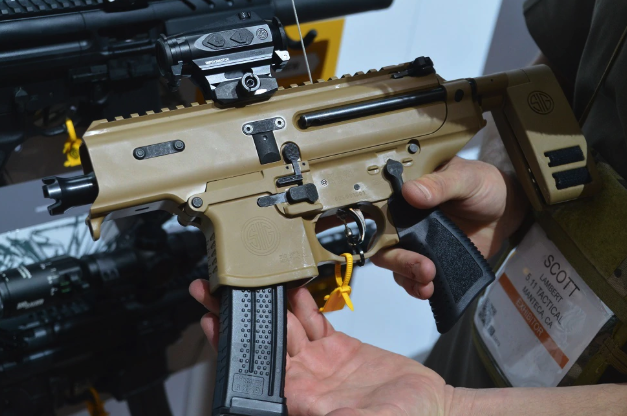 Sig Sauer Unveils The MPX Copperhead: Is This The Army's Next Submachine Gun? 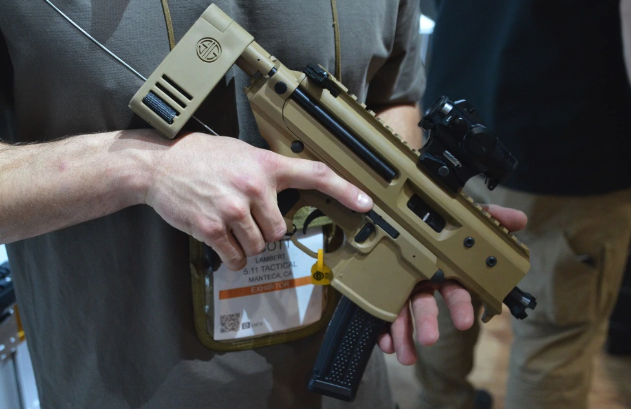 Sig Sauer, Inc. has announced the latest addition to the Sig Sauer MPX weapon series, the ultra-compact MPX Copperhead submachine gun at the annual SHOT Show firearms trade show in Las Vegas. The gun manufacturer has geared the new submachine gun toward the US civilian market as a 9mm “pistol,” but its select-fire version could trigger interest from the US military. The submachine gun incorporates a three-and-a-half-inch barrel and has a total length of 14.5-inches. It is much smaller than a traditional submachine gun and weighs only four-and-half pounds, which is a 30% reduction in weight compared to the AR-15 style rifle. The civilian version has a barrel with a flash hider machined at the end. The military version has a threaded muzzle that allows for a quick-detach system like a sound suppressor. 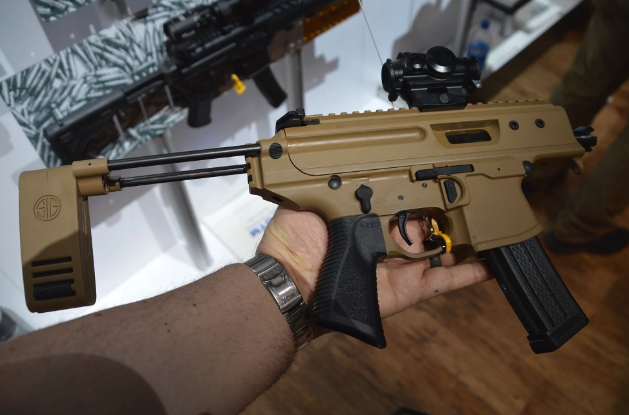 According to Guns.com, the design of the MPX Copperhead closely mirrors what the US Army has in mind for their Sub Compact Weapon (SCW) program, for which Sig Sauer, along with five other defense firms, have submitted their submachine guns for testing. The Army set up the SCW program to solicit defense companies for the ability to submit their next generation of submachine guns, which there will only be one winner, to swap out the decades-old HK MP5s and other similar weapons. The MPX Copperhead is already a leading contender given the Army's growing interest in the MPX weapon series. In July 2018, the Army contracted Sig Sauer to provide MPX and MCX weapon types, as part of a large order for American special forces, other unnamed government agencies, and unspecified foreign partners. The new submachine gun is ultra-compact, it is powerful, and it could be the newest submachine gun the Army fields.